The Wearable ETF, which formerly traded under the ticker “WEAR” and focused on stocks with exposure to the wearable technologies theme, recently underwent some significant changes. The exchange traded fund is now known as the Tactile Analytics AR/VR Virtual Technologies Fund (CBOE: ARVR). ARVR now tracks the EQM Tactile AR/VR Virtual Technology Index. “"Wearable technology is something that we still believe in. We just happen to believe that the augmented and virtual technology subset of wearables is the most exciting and could have a larger market impact going forward," said Bryce Tillery, Managing Partner of Eve Capital, in a statement. Dallas-based Eve Capital was WEAR's sponsor and remains the sponsor for ARVR. The index swap “provides a unique opportunity that all involved parties believe serves in the best interest of WEAR shareholders, including a new name and branding to help highlight what the sponsor believes is the most exciting aspect of wearable technology,” according to the issuer. Companies in ARVR's underlying index must have some exposure to the augmented reality and virtual reality supply chain. “This includes, but is not limited to, companies that manufacture electronic components used to construct AR/VR hardware, companies that develop the software that utilize the hardware, companies that develop content for use on AR/VR hardware, and companies that manage content distribution platforms or deploy AR/VR hardware/software as part of a customer solution or offering,” according to ARVR's issuer. ARVR is home to 56 stocks, none of which exceed weights of 2.68 percent. Top 10 holdings in the fund include Advanced Micro Devices Inc. (NASDAQ: AMD), GoPro Inc. (NASDAQ: GPRO) and Walt Disney Co. (NYSE: DIS). Given the expected growth of the AR/VR market in the years ahead, it's reasonable to expect to more ETFs coming to market to meet investors' demand for this market segment. 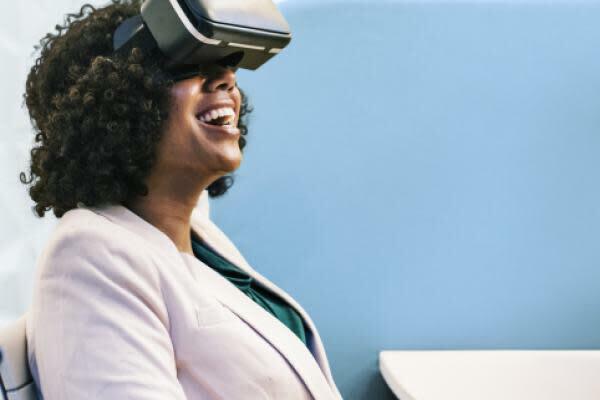 Along with ARVR's recent conversion, the Defiance Future Tech ETF (NYSE: AUGR), which tracks the BlueStar Augmented and Virtual Reality Index, debuted earlier this month.